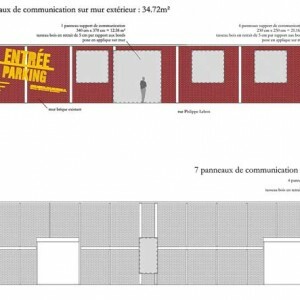 The project proposes the development of a large homogeneous area, perceptible as a unified entity within the existing walls. 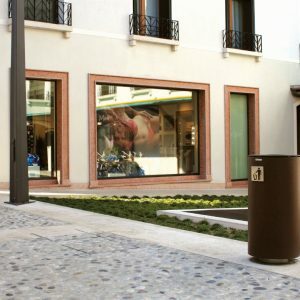 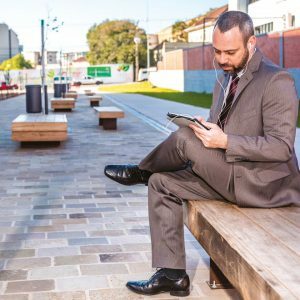 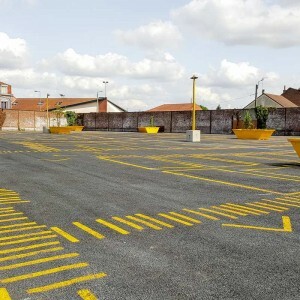 This posture establishes an easy and strong identification of the temporary parking, without any fragmentation of space. 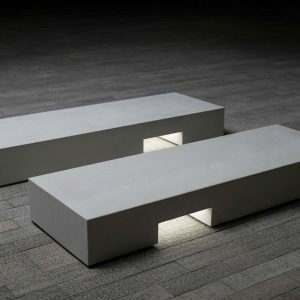 The simplicity of treatment of the whole surface offers a control of the budget as well as a certain versatility of the space. 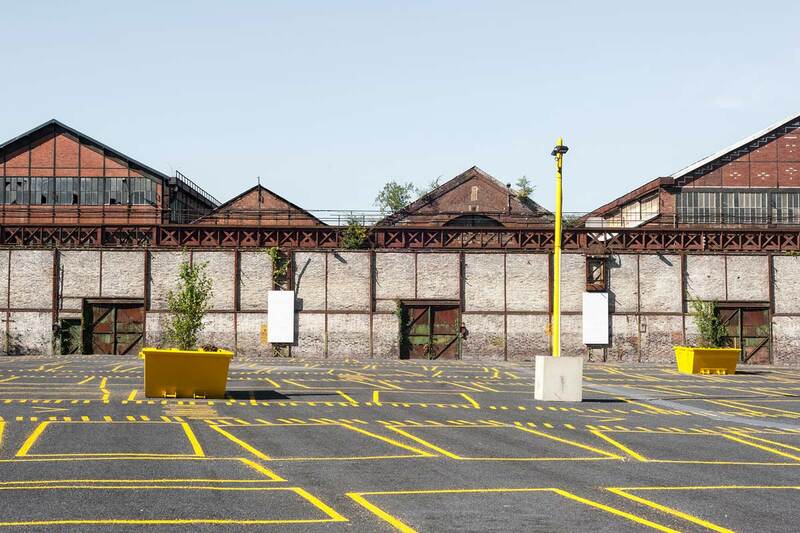 The possibility of organizing events or demonstrations is provided by the arrangement of a space with flexible geometry, freed up to the maximum of fixed elements that can constrain its appropriation. 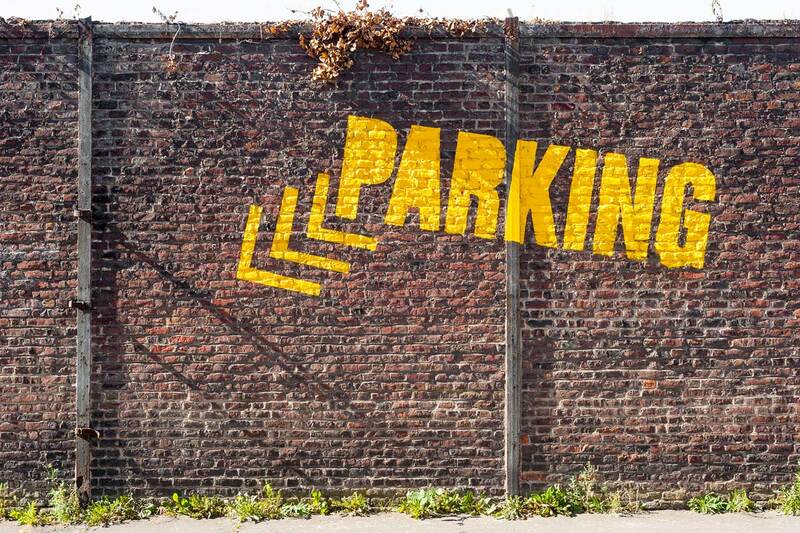 This composition and treatment is animated by some elements that bestowed the ambiance of the parking. 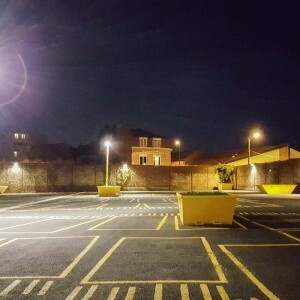 Thus, signage, plantations, lighting are intended to preclude a standard car park image for a more distinct identity, specific to the place, identifiable and associated with the mutation of the Fives Cail borough. 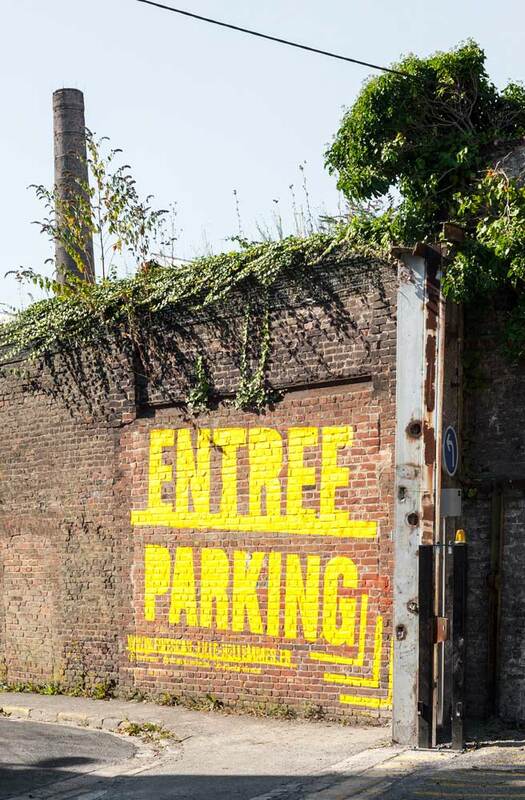 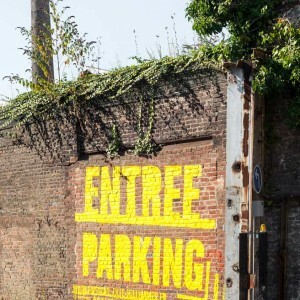 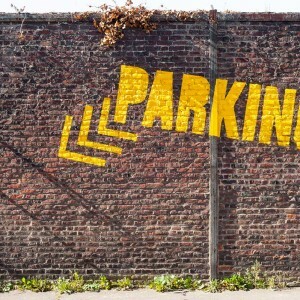 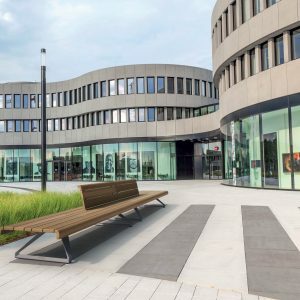 The signage, which allows the immediate apprehension of the composition of the space and the functioning of the parking for the motorists, is declined in three elements. 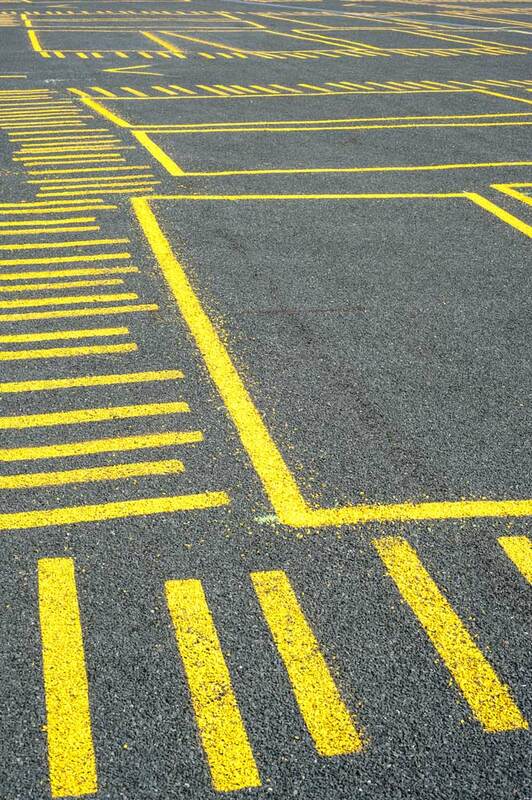 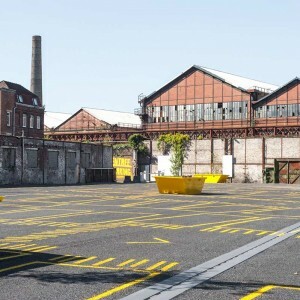 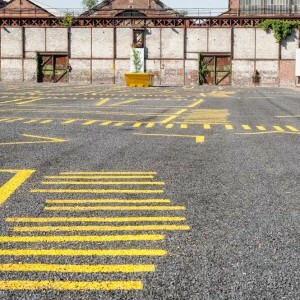 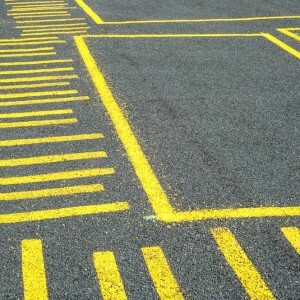 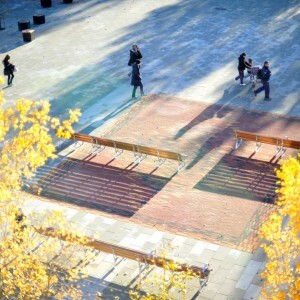 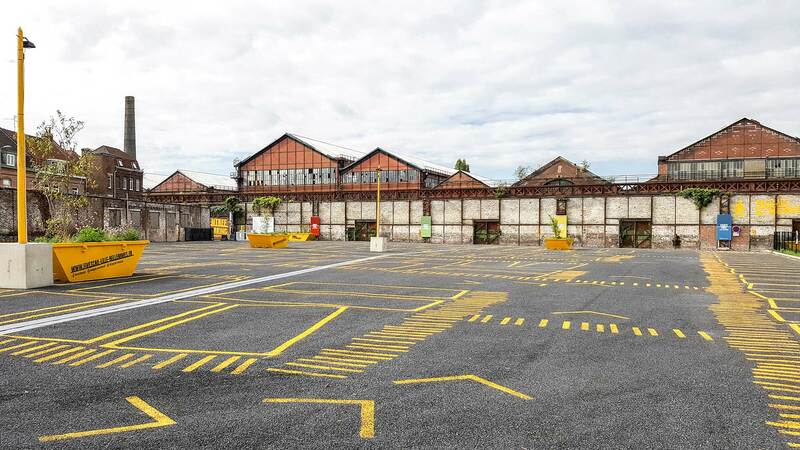 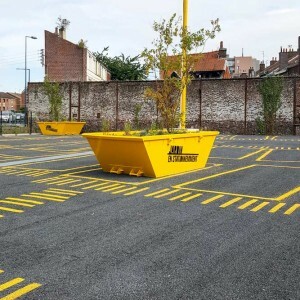 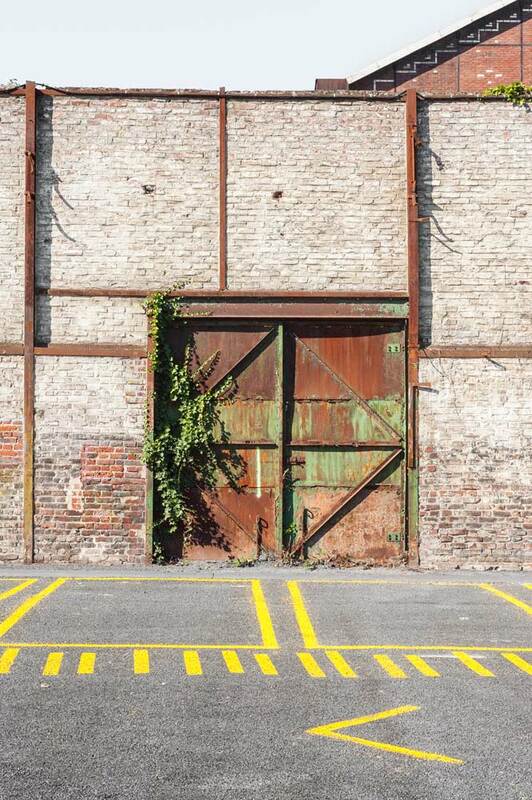 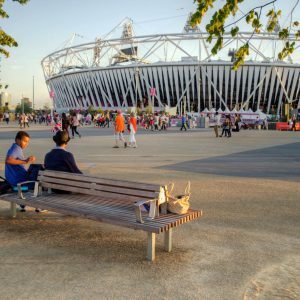 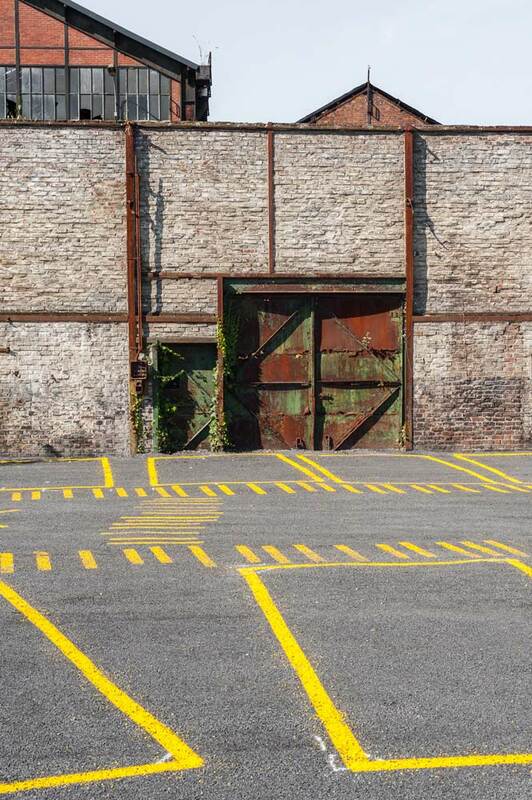 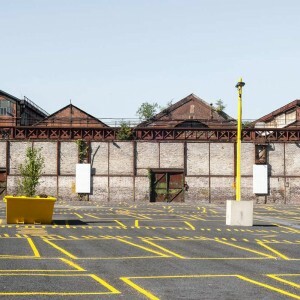 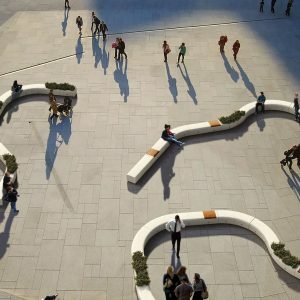 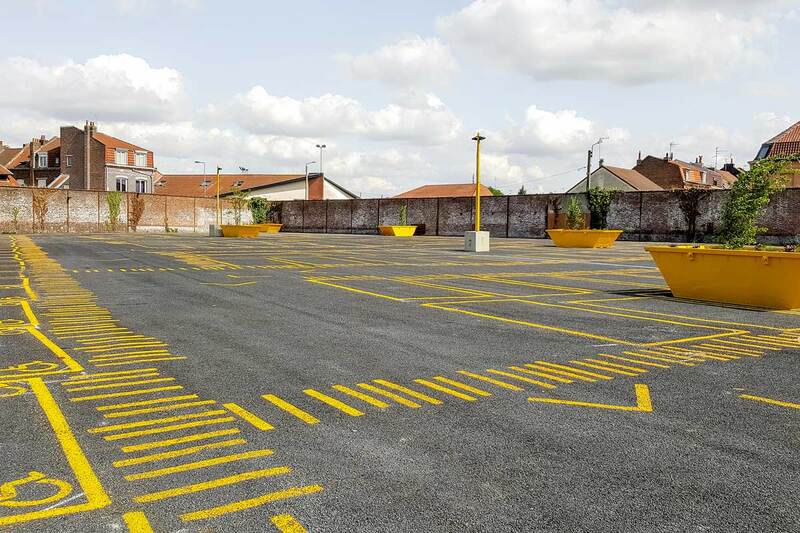 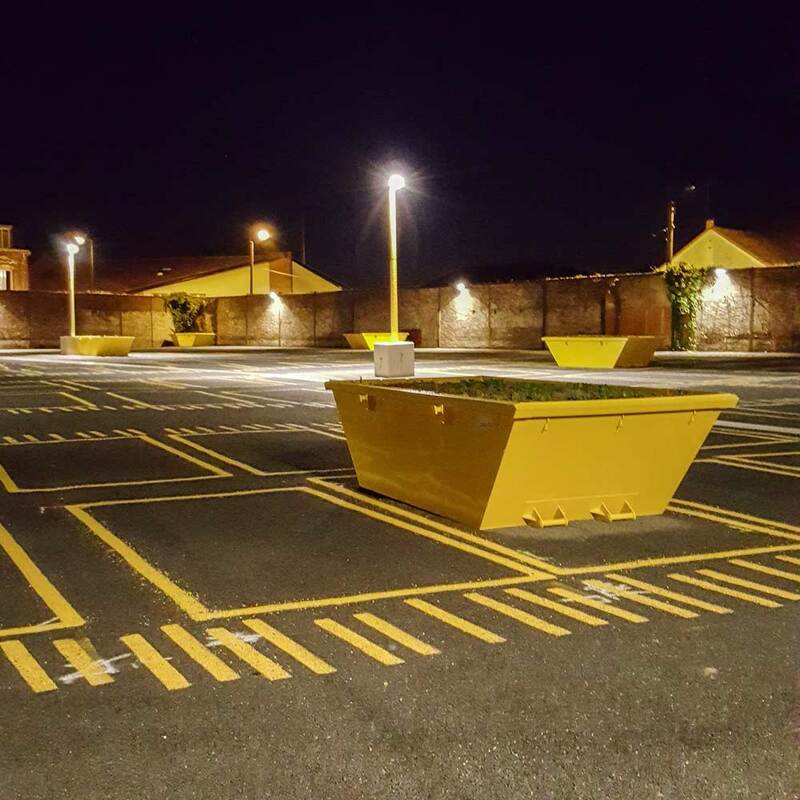 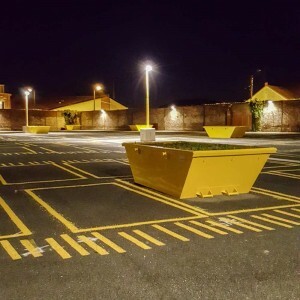 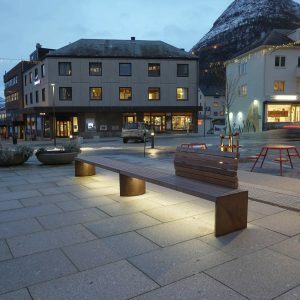 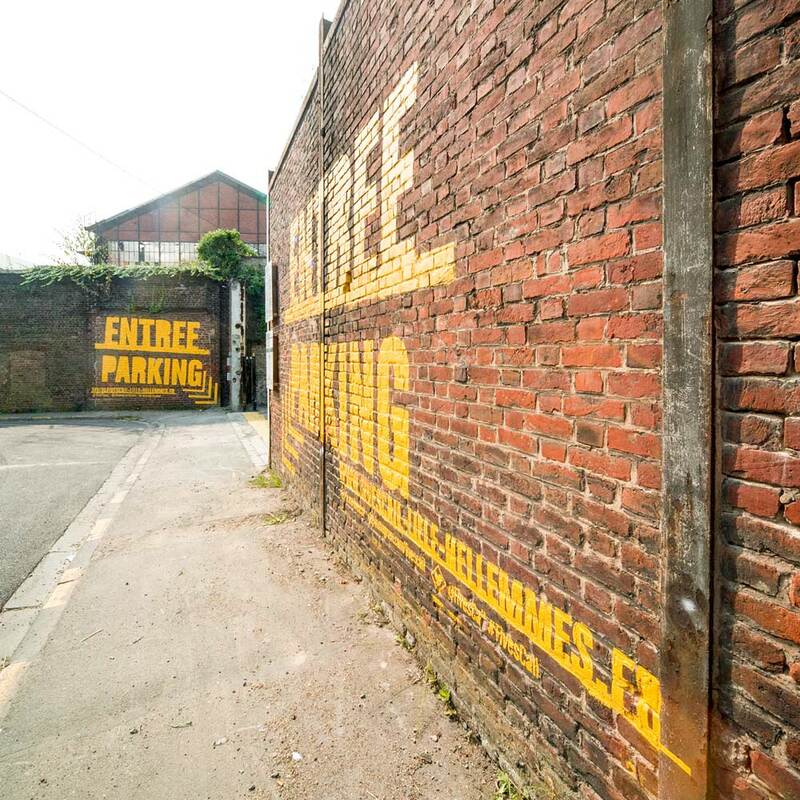 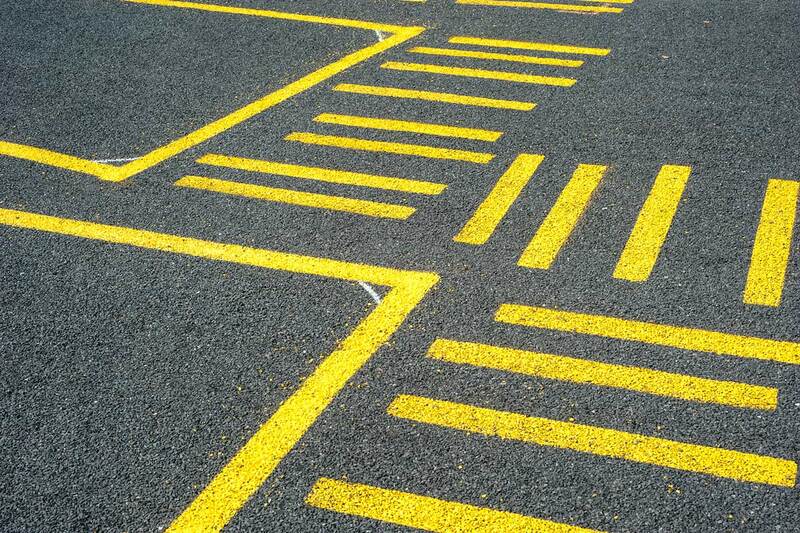 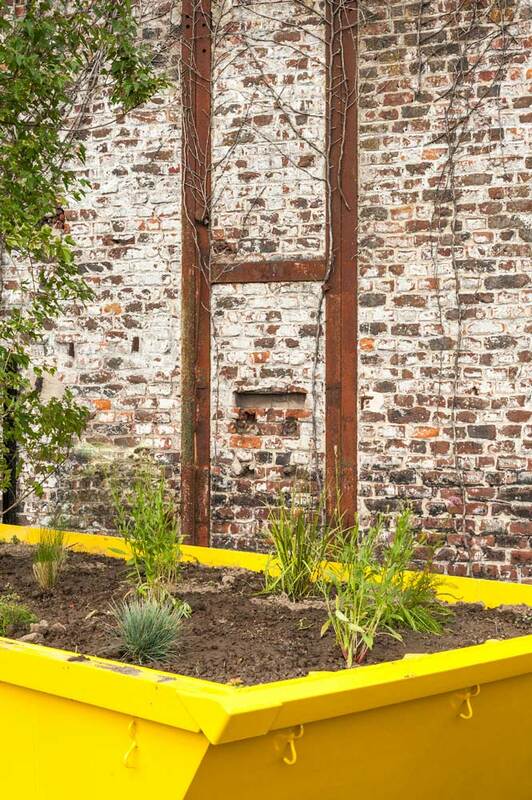 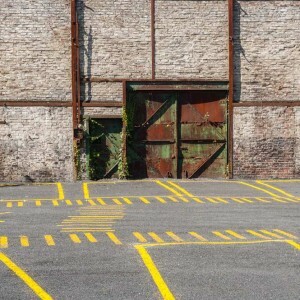 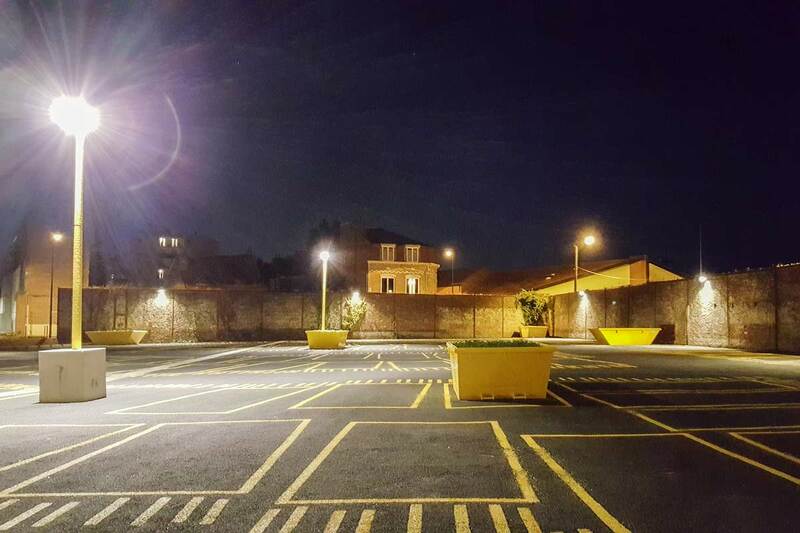 These elements use a yellow paint marking, reusing the simple and traditional material of the car parks, which offers an easily modifiable character, in keeping with the ephemeral nature of the place and the budget of the project. 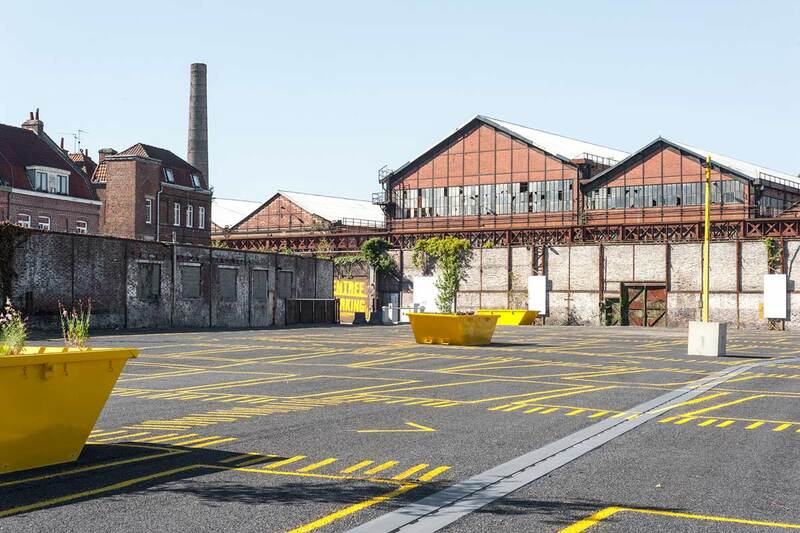 Its shaping nevertheless deviate from a conventional parking space, by appropriating the traditional codes. 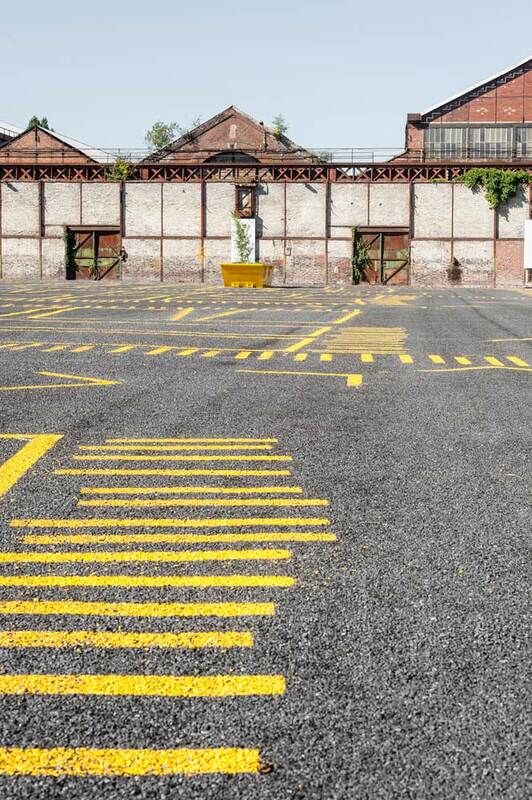 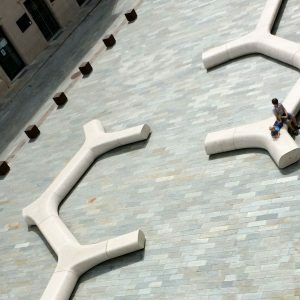 The marking of each parking space gives a random or anarchic effect within a mastered and structured framework and declines an unusual aspect inspired by ephemeral aesthetic. 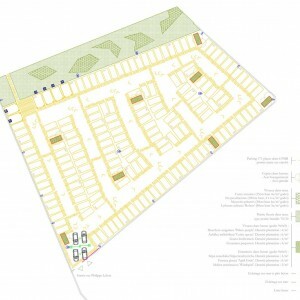 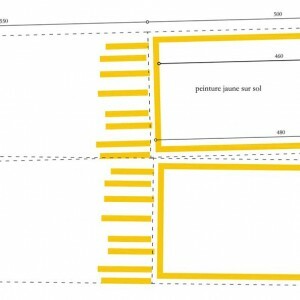 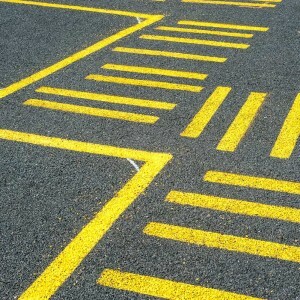 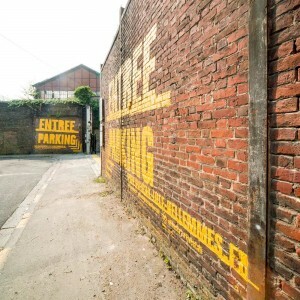 The marking of the pedestrian paths, whose graphic design is inspired by yellow zebras, also develops the site codes. 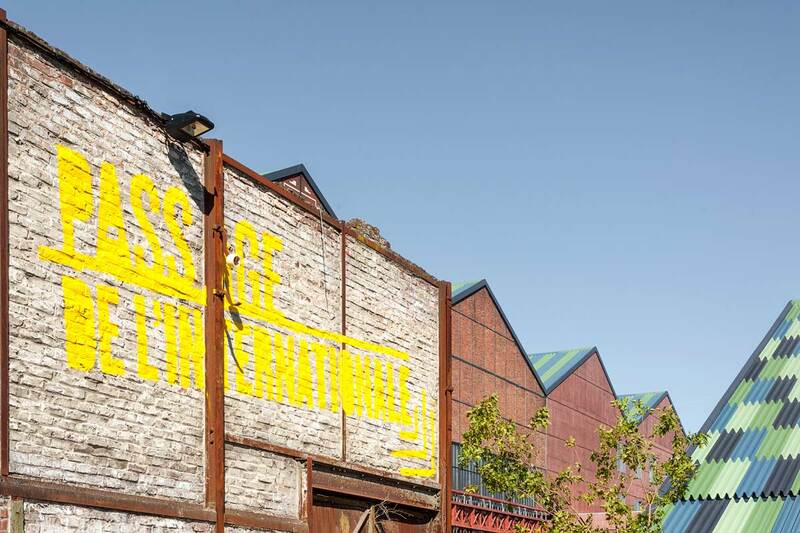 The signage is also positioned on the outside of existing enclosure walls by declining the paint on the wall. 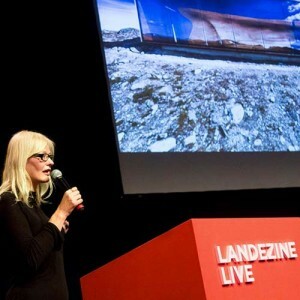 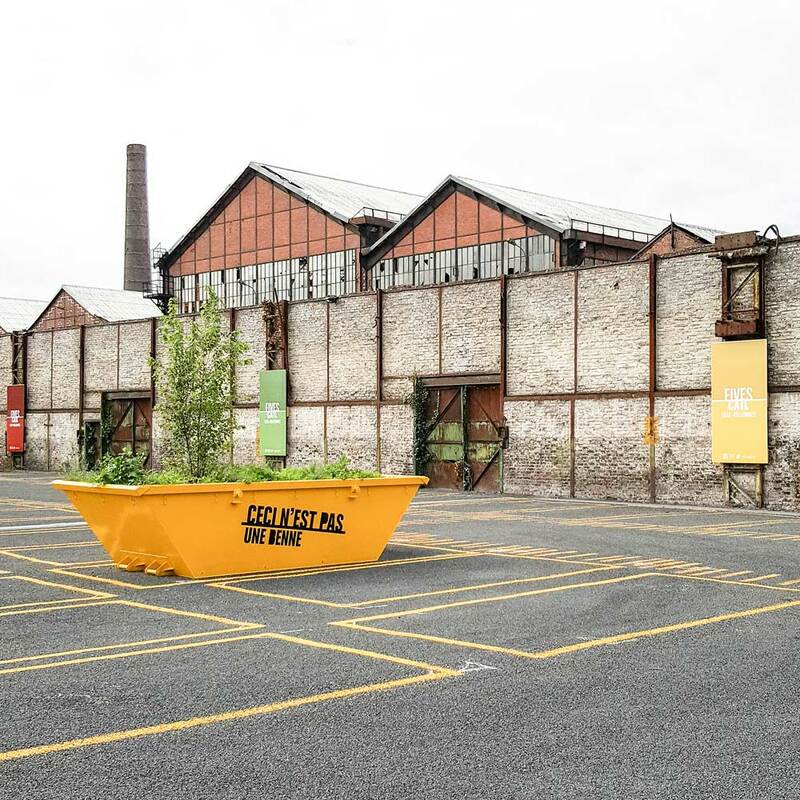 The development proposes the installation of skips which constitute mobile gardens to the dimensions of a car parking space. 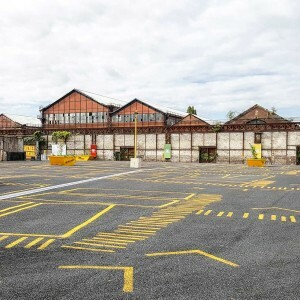 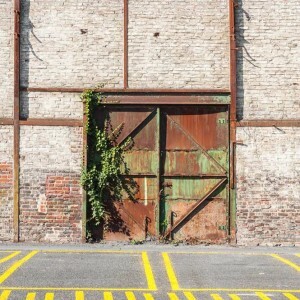 This principle imbricates modularity of the place and benefits from the provisional nature of the parking lot as incubator of ideas and elements to be revalorised when the parking will give way to a building. 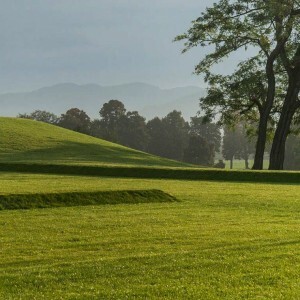 The constitution of a strong image is constituted by the implementation of vegetation and common objects, in order to improve economy and durability. 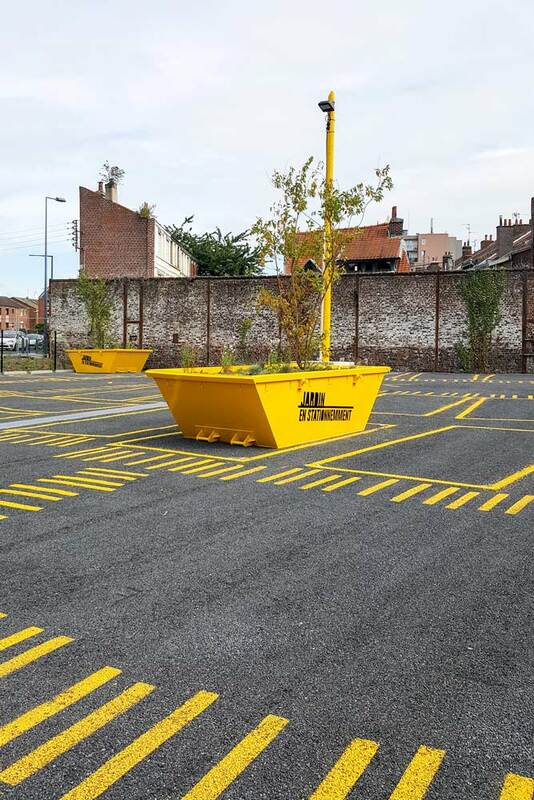 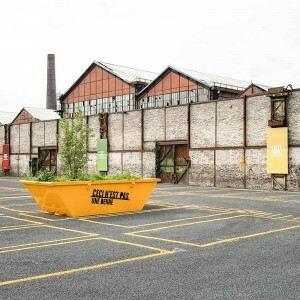 The mobility of the skips permits to completely free space for a particular use, to temporarily block an access, to constitute an ephemeral fence, … The movable skips recall the past uses of the industrial context, the temporary aspect of the car park, also referring to the site and will be reused for related projects as part of the overall mutation of the neighborhood. 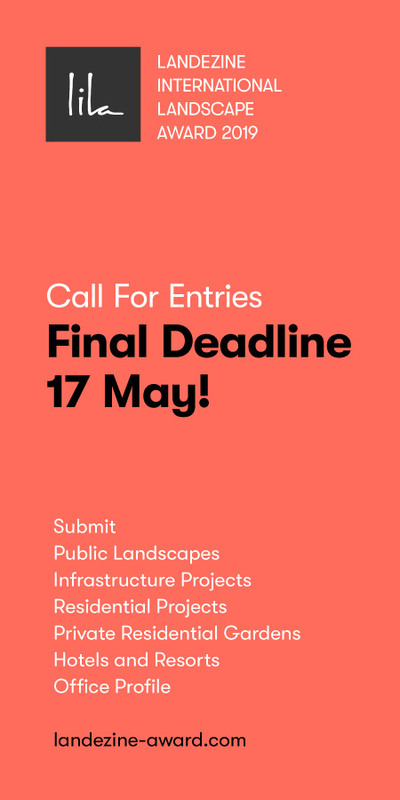 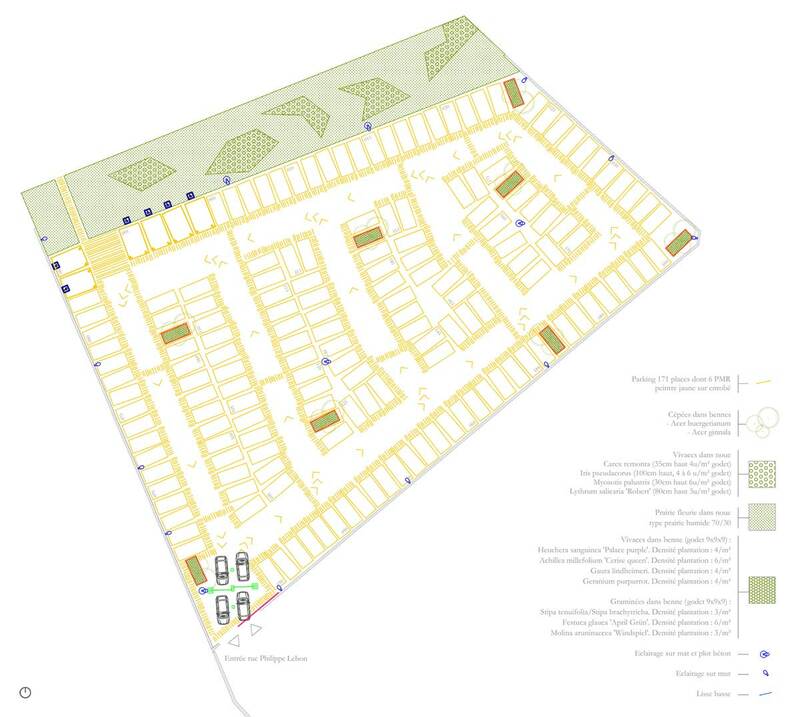 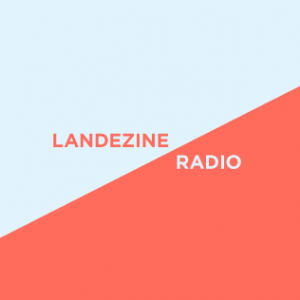 The project develops the versatile aspect of space and the possibility of various appropriations linked to eventual events, Plantations are mostly proposed above ground. 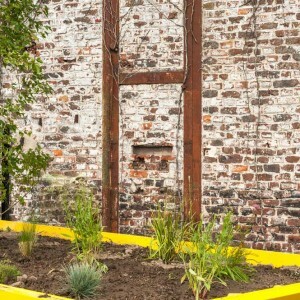 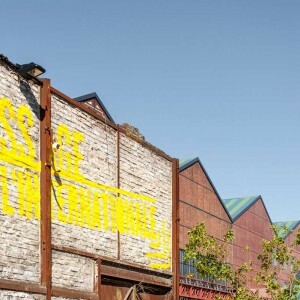 The plant palette is composed of so-called “spontaneous” species for an atmosphere resulting from the industrial wasteland. 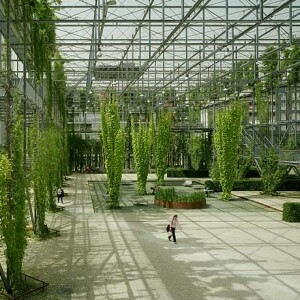 The project blends contemporary weft and free and natural aspect’s plantation. 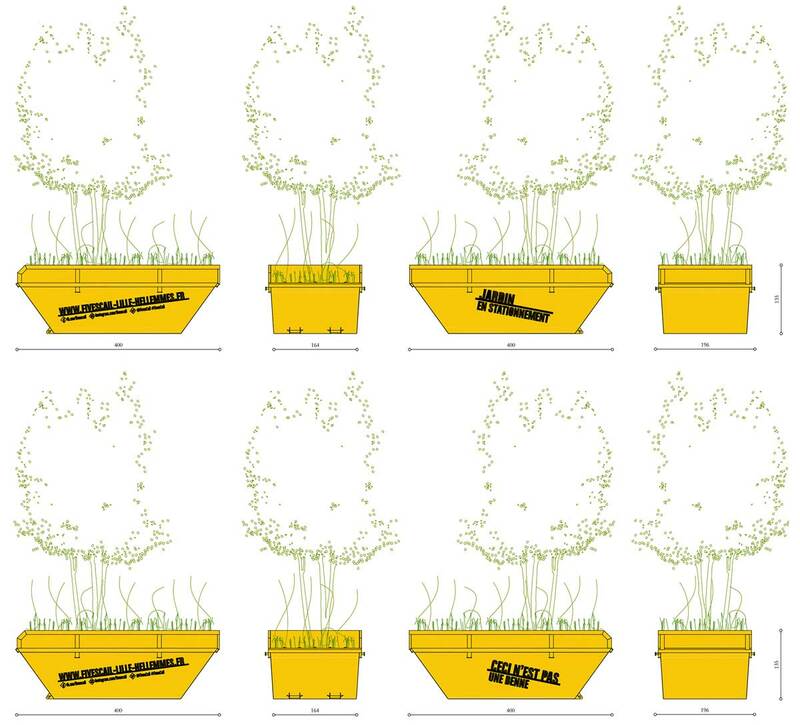 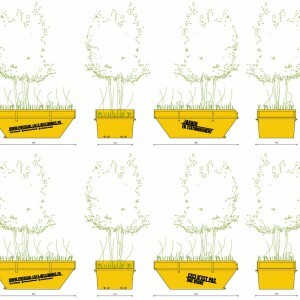 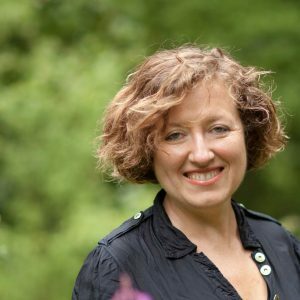 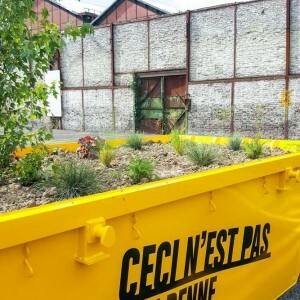 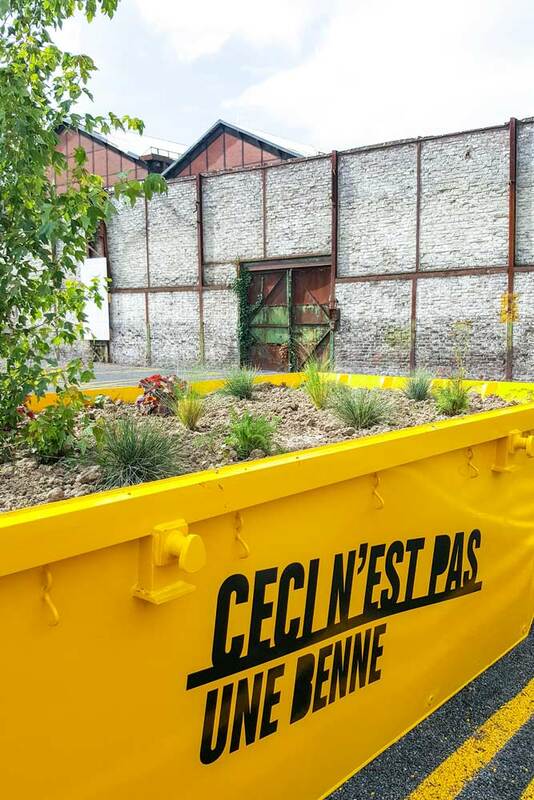 The skips become mobile gardens with the implantation of young and graphic subjects of trees coupled with a flowery meadow with wild plants and grasses.